There are some weeks in your life during which not much happens, but then there are weeks that change your life. This week long adventure in Egypt is one of those life changing experiences – an in-depth glimpse into another culture that will alter your perceptions. After the tour is over, you will return home feeling amazed with plenty of stories that you will tell for the rest of your life. On this amazing expedition we will make the most of your time so that you can see as many incredible Egypt attractions in one week as possible. Follow our itinerary, or make your own custom tour where you call the shots. It is totally up to you! You will be amazed by how many fascinating Egypt experiences we will pack into this one week tour. You will admire the Great Pyramids, the Sphinx of Giza and the Egyptian Museum of Antiquities in Tahir Square. You will also take a cruise down the Nile River and learn about the history of this very important waterway along which all civilisations in Egypt developed. You will visit the ancient wonders at Luxor with your private Egyptologist guide and you will explore the East & West banks. We will ll take you to the Mummification museum, Valley of the Kings, Luxor Museum, Deir A Madina and the Valley of the Nobles. The guide on your Egypt private guided tour is an expert in Egyptology, so you will gain an in-depth insight into the culture. One of the major advantages to seeing these amazing attractions on an Egypt private guided tour is that you will not have to worry about the hassle of getting from point A to point B. All of the little details of logistics and transport are taken care of, so that you can sit back, relax and enjoy the beauty all around you. The tour will include transport in a private vehicle, a private guide, domestic flights and all accommodations. 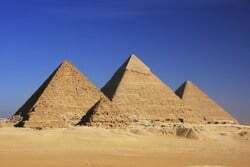 It will also include the entrance fees to the tombs, museums, parks and historical sites. You will be pampered in some of the finest accommodations, such as the Sonesta Star Goddess Nile cruise ship and the elegant Mena House Hotel. Our goal is to reveal the wonders of Egypt to you, while treating you to comfort and luxury so that you can enjoy every minute of the journey. 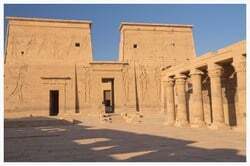 To find out more about this Egypt 7 Day Tour, or any of our other Egypt Tour packages , please feel free to contact us at any time. Enjoy a personalized and tailor-made tour to Egypt with a private Egyptologist guide, driver, and local Egyptian cuisine. Your 7 days tour will be tailored just for you and will suit your needs and your budget. Avoid the crowds with your own private guide & private vehicle during your tour around the best places to visit in Egypt. Sail down the Nile on a three-night luxury Nile River cruise on board the luxurious 33 suites named after famous composers. 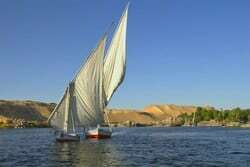 Wind your way around scenic Aswan islands with your private guide and your private felucca/sailboat in one of our bestseller tour packages. Spend a private evening on dining at a traditional Egyptian restaurant and a private tour for the best memories of your Egypt holiday. Tour Egypt and stay in our best selection of luxury hotels and Nile cruises such as the Mena House and the Fairmont Nile City.